Did you know that you can create your own “six degrees of separation” between any two people? Or places, or things for that matter. The most famous, of course, is the “Six Degrees of Kevin Bacon” — where virtually any other individual on earth can be linked with this popular actor, by way of 5 other people or relationships. 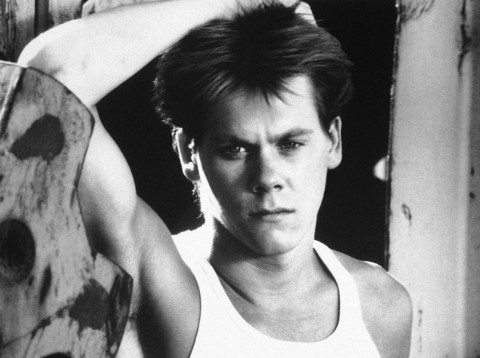 When you stop & think of just how many movies Kevin Bacon has been in — it’s quite amazing! However, the funniest thing is the fact that someone has taken the time to caculate the percentages and “scores” for people who can be linked with Kevin Bacon (…and the fact that there are actually 1,048 OTHER people who are actually more popular and can be linked to more people than Kevin Bacon himself!) Who knew? Here are some interesting variations on the “Six Degrees of Kevin Bacon” game. Try your hand at this game yourself by playing the “Six Degrees of Kevin Bacon” online. Want to see how you are linked to Kevin Bacon? Just enter your own name (or the name of someone you know) here in the “Associate Degrees of Kevin Bacon” game. 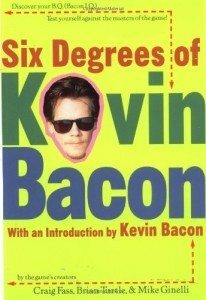 Even Kevin Bacon plays the Six Degrees of Kevin Bacon! Watch him on Late Night TV with Seth Meyers. As an example of how this game has evolved… here’s one called “The Six Degrees of Brad Paisley” — linking Country singer Brad Paisley with a ton of different celebrities. Here’s everything you could ever want to know (and more!) about the Six Degrees of Separation. See how Kevin Bacon puts Six Degree to good use by helping charities.